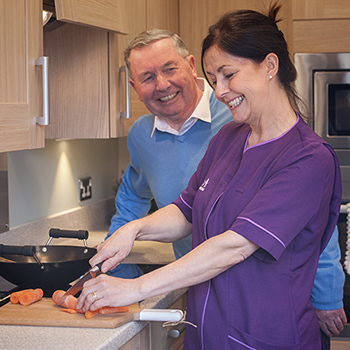 Luxury care packages, also known as assisted living, combine a range of hotel type services with flexible access to our professional home care team, Anchor Homecare, and are designed to enable you to continue living as independently as you wish in our specially designed leasehold retirement apartments. Together with you, our Anchor Homecare team will develop a personally tailored luxury care package that includes just the right level of assistance to help you maintain an independent lifestyle. The charges for these flexible care services will vary depending on the level of support required. 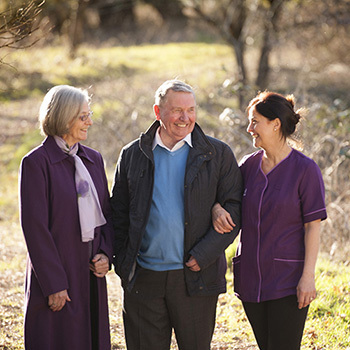 At both Bishopstoke Park and Hampshire Lakes, all our retirement apartments are beautiful, purpose-built homes located in the heart of a village, ensuring you can fully enjoy the luxurious leisure facilities and vibrant community. In addition to the experienced estate managers and friendly Anchor Homecare staff who you will get to know well, 24-hour support is provided through Anchorcall; an emergency call telephone alarm system installed in your new home. Anchorcall is monitored 24hrs a day by our friendly, well trained staff, ensuring you can call for help should you ever need it. Our retirement apartments feature an array of practical design features that make day-to-day life more accessible for those with care needs. These low maintenance homes combine elegance with practical features such as easy turn taps, level access showers, wall units mounted lower and storage drawers replacing awkward cupboards. The option to have sophisticated, discreet alarms, such as fall, light and wander monitors, complement our 24-hour call system in your suite, ensures you have maximum peace of mind. Retirement apartments with luxury care packages are available to purchase at our Bishopstoke Park and Hampshire Lakes retirement villages.